Имате въпрос към Dream Mountain Resort? Удобно разположен в Калав, Dream Mountain Resort е чудесна стартова точка, от която можете да започнете да проучвате този оживен град. Хотелът се намира на 1.1 km от центъра на града и осигурява достъп до важните места на града. С удобното си местоположение хотелът предлага лесен достъп до всички градски забележителности, които задължително трябва да се видят. Предлагайки висококачествени услуги и широка гама от удобства, Dream Mountain Resort Ви осигурява възможно най-комфортния престой. Хотелът осигурява 24-часов рум-сервиз, безплатен WiFi достъп във всички стаи, ежедневно почистване, магазин за подаръци/сувенири, пощенски услуги, за да гарантира комфорта на своите гости. Всички стаи се отличават с грижливо замислени удобства, което гарантира неповторимо усещане за комфорт. Освен това в хотела можете да се възползвате от множество предложения за приятно прекарване на свободното време. С превъзходните си удобства и отличното си местоположение Dream Mountain Resort е идеално място, в което можете да се насладите на престоя си в Калав. Very large rooms and comfortable beds, ready to add an extra bed for a child! Great Bath tubs! Good buffet and excellent view. 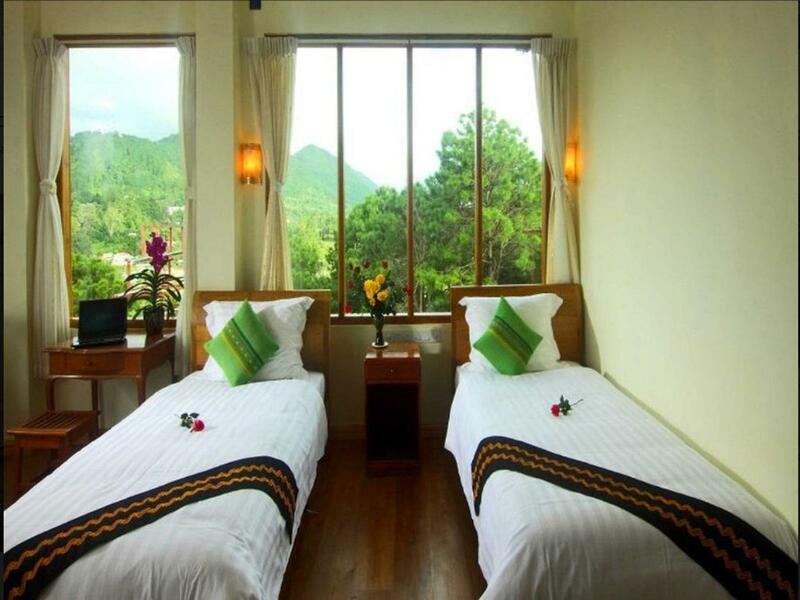 A little far from the main town to go on foot with kids, but near the train station and Picasso Mexican restaurant and A Little Kalaw Day Spa. A bit far from the town as it is on the top of the hill but have a great view over the town . Staff is helpful and informative on nearby tracking and village . The carpet in the room is smelly but fine after we asked staff to take it away. Nice garden, spacious room and clean. 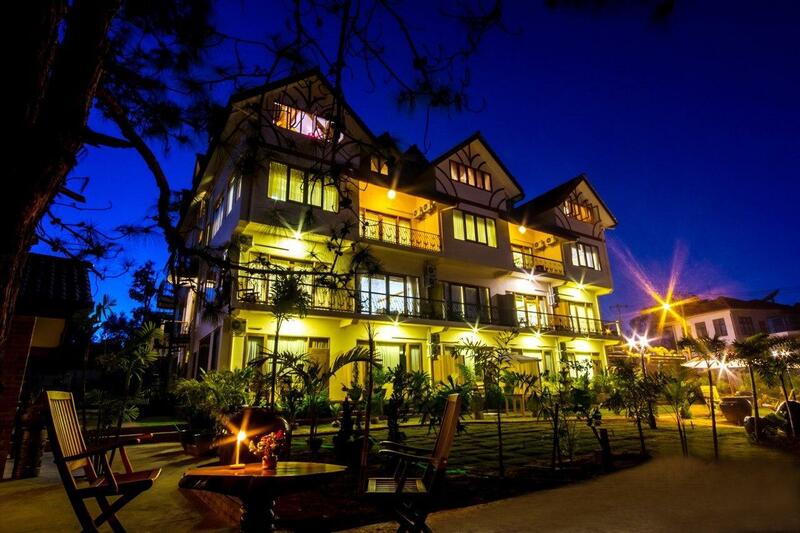 Recommend to stay when you visit Kalaw. Helpful and friendly staff. Easy access to downtown, peaceful and green environment. Really a nice place for relax. I stayed here for 4 nights for vacation. The hotel provides an excellent breakfast (especially bacon, eggs, and omelette) and has a very warm and friendly staff! I would stay there again if I return to Kalaw. Love this place! The staffs are very helpful and considerate. We traveled with three elderly and they tried their best to put us on the main floor (with fewer stairs). The breakfast is also very delicious, and we love their fried items. We also enjoy their garden and the views. Overall, we have a wonderfully relaxing stay. Good location,quite and nice view. Friendly manager,helful staff.Delicious breakfast and a beautiful park infront of the restaurant.We will stay here again next time if we visit Kalaw. Really a good choice to stay here for leisure.The only thing they need to improve is communiction facility, telephone. If they can consierate to install in each room it will be more convenient. We stayed for 3 days and enjoyed the nicely decorated, clean and spaceous rooms, the personal service at breakfast and the magnificent view from the room and breakfast area. Would recommend everyone who goes to Kalaw to stay here. Stayed three days. Good breakfast and very friendly helpful staff. Friendly and helpful staff, variety of delicious food, good location and cosy room. Lovely hotel. Nice view. Clean. Staffs are friendly. Location is good if you have car. Enjoyed our stay. Breakfast is not much choice. Mote Hnin Khar is totally not nice. But We love Strawberry Juice. We arrived at the hotel at 5+am in the early morning and the room that we booked is not ready to check-in yet. However, they let us use the another room which has similar facilities. Much appreciated and recommend for everyone. Great food, rooms were spacious and comfortable, check-in and check-out experience was smooth and hassle-free, friendly staff. Only negative comment was that wifi was really bad, and pretty much did not work during the entirety of our stay. Dream Mountain is worth the price and the short walk from the center of town. The grounds are very pretty, with flowers everywhere. 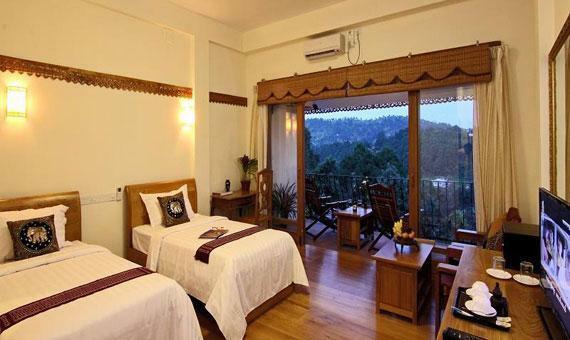 The rooms are spacious and elegant, with nice balconies and views over the hills. 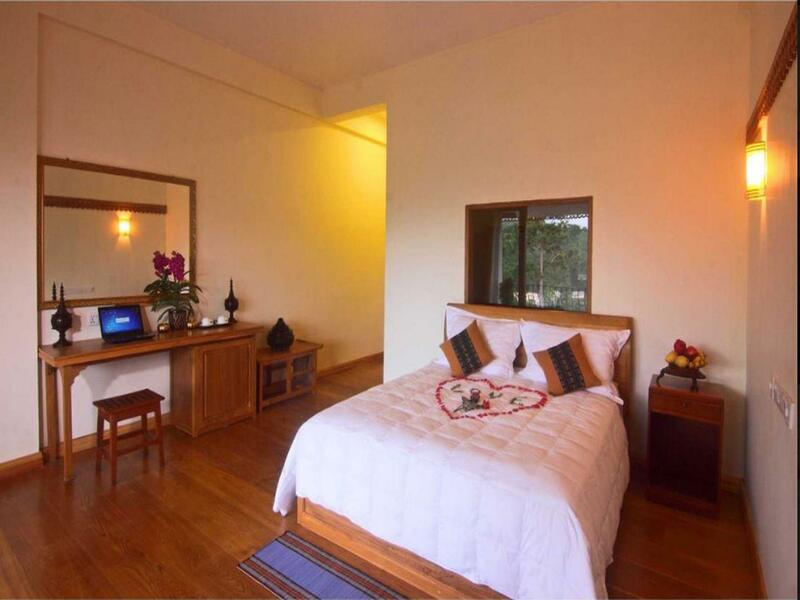 Great air-conditioning and all conveniences in the room, fluffy white bathrobes and velvety room slippers included! Roomy and modern bathrooms. Even the bathtubs have an outside view through the window! Finally, nice and helpful staff as well. Definitely can recommend. PS: Make sure to check out the main market held every fifth day in town. We really enjoyed our time at Dream Mountain. Our rooms had great views of the mountains. The hotel staff were great- they arranged a guide for a day trek and bikes to ride. It's only a 10 minute walk to the town and markets. Would recommend this place to others. We loved our stay here, the hotel is beautiful and quant. The breakfast room has great views and a wide variety of food. The staff were very friendly and gave us bikes to explore the town. The bathrooms are nice and big with a great bathtub.